"It used to be that my idea of exercise was running for a plane. But in February 2001 I started working with Margo Carper and learned what it really means to exercise. What I once dreaded I have grown to love. She is the first appointment in my day and no matter how exhausted I feel when I arrive, the exercise always makes me feel better. Like many of her clients, I adore the famous protein shake she prescribes, but her methodology is not one size fits all. Over time we have worked together to identify the challenges unique to me. Margo is a true professional; she is fun, creative, and responsive. Yet what I value most is her reliability: Margo is a person you can count on to look after your best interests." "High school athletics were the glory days of my fitness condition and weight management; since then I've ricocheted all over the map. This has changed since meeting Margo - I am now, at age 33, in the best shape of my life after working together a few short (although intensive) months. Thus far I've dropped twenty pounds and added visible definition to my musculature. The time--including transit--I spend with Margo is a net wash because I need less sleep and now frequently rise before my alarm. Margo does not yell or guilt or threaten. Instead, she provides you with a plan that is customized to your lifestyle. She is a partner in your physical and nutritional health, and as such she treats you with respect but expects you to follow through. I've met Margo halfway and consider this the best investment I've ever made in myself." 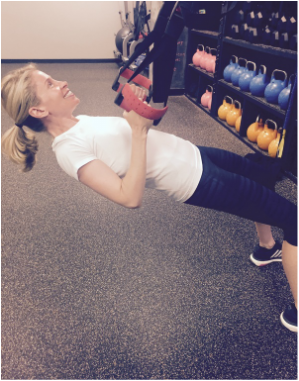 "I was a non-believer in using a trainer but working with Margo changed all that. She tailored sessions so that working out was challenging, rewarding and fun. As a result over 3 years I lost 25 pounds, got stronger, more limber and better coordinated. And happier too." "I always tell Margo that she needs to charge for two services: personal training and therapy! Not only is she fabulous at what she does--whipping us all into great shape--but she lets you have fun while doing it. When I started with Margo, I had terrible backaches, a flabby belly, and hind quarters that were slowly losing ground to gravity. Now, after nearly two years with Margo, I can easily slip into my smallest jeans and my back no longer hurts. And, after two children, I thought I would never again know a flat stomach. Thanks to Margo and those awful crunches she makes me do, I no longer have a spare tire! Margo is a wonderful personal trainer--always professional, on time, and organized. She is also an amazing person--always ready to listen and make you laugh. When you're working out with Margo, it doesn't feel like work. (Okay, well, maybe it's a little bit of work, but you will see big results!)" "I found Margo halfway through a challenging pregnancy. Though I was healthy and all was progressing as expected, I'd been sidelined with awful sickness. Accustomed to a regular spin class, outdoor cycling, running, and hiking, I was four months pregnant and unable to do much of anything. So I arrived at Margo's doorstep weak and discouraged. Margo slowly, with compassion and care, got me moving again. She helped me regain my strength and taught me how to exercise in a new and different way. Her workouts were always the highlight of my week. I felt myself getting stronger, even as the pregnancy progressed. And I credit her with getting me fit to not just grow that baby and but also to labor her into the world. And, added bonus!, on the back-end of it all, I lost that pregnancy weight with no fuss and was back in the gym in no time. Margo is a pleasure -- funny, smart and kind. A wiz on fitness and wellness, with advice we can all use no matter the life chapter. "I began working with Margo in the Fall of 2002, and one of the many things I have grown to appreciate over the years is her innovation and creativity in designing my workouts. Having played collegiate golf and competed in triathalons I am well accustomed to physical challenge. However, Margo has redefined the concept of physical challenge with her use of the bosu, medicine balls and bands and her intense core workouts. With the variety of equipment and exercises I am never bored! This summer Margo made some dietary suggestions, including a recipe for the best protein shake I have ever had, and as a result my weight and cholesterol are the lowest numbers in years."